Dr. Todd, do I REALLY need to be taking FISH OILS? I get that question daily at Austin Family Chiropractic in Virden, IL. I’ve taken upwards of 15 grams of high quality Omega 3 fish oils in a day before myself. I had no adverse effects to report whatsoever. But if you are a FISHY BURP kind of guy or gal, then you must watch the below video to find out how to proceed. 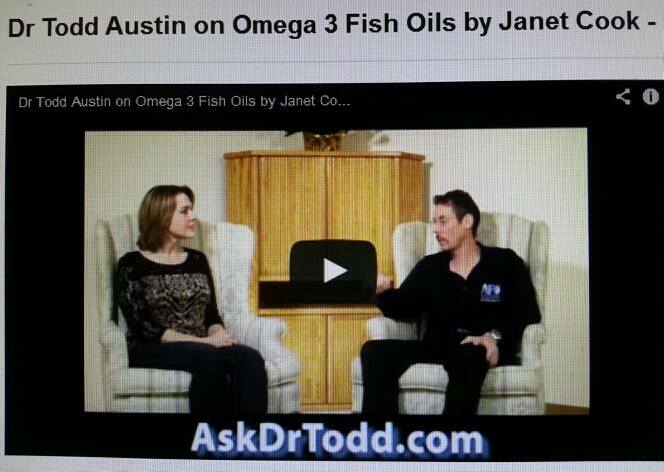 Here, Holistic Health Coach Janet Cook from Vivacious Wellness in Springfield, IL ASKs DR. TODD about “The Wonders of Omega 3 Fish Oils”. So grab your popcorn, or maybe a salmon steak instead. Follow me on Facebook too. Hey Dr. Todd, what do you know about JUICING and HEALTHY SMOOTHIES? 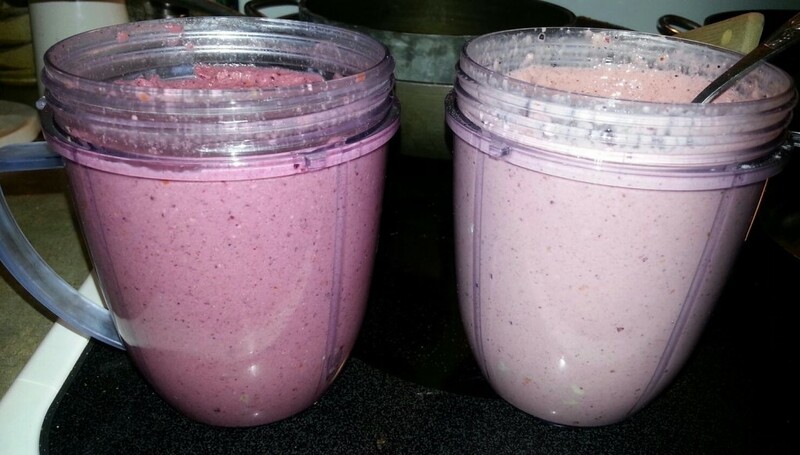 As you may know, I’m a big fan of using my NutriBullet to make healthy whole food (45% veggies, 45% fruits, 10% nuts or seeds) smoothies called “Nutriblasts”. Technically JUICING is different than what I’m accustomed to through my nearly 2 decades of using a Vitamix, then a Magic Bullet and now my NutriBullet. So to answer your question, Michelle, I decided to take the traveling DR. TODD SHOW on location to the office of my friend and Holistic Medical Doctor / Neuro-Psychiatrist Georgia Davis, M.D. 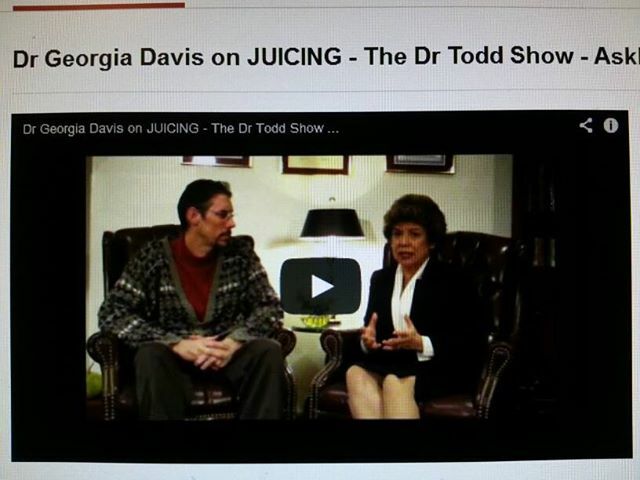 In this video, Dr. Davis will give you the scoop on JUICING. Dr. Davis practices in Springfield, IL. Enjoy! P.S. If you’d like to be able to make a smoothie that tastes as good as (or usually even better than) a DQ Blizzard, then here is a bonus video for you. And as you can see here, children love them! And they are GLUTEN FREE. In fact, my better half GlutenFreeGena enjoys them quite often. Enjoy!!! How does Specific Amino Acid Therapy work, Dr. Todd? Well, it’s all laid out on my Specific Amino Acid Therapy website. Here is a success story that I reported on facebook yesterday. What are your thoughts? Post by Austin Family Chiropractic. In a nutshell, the patient fills out the Brain Function Questionnaire and then we treat with the appropriate specific amino acid(s) in an effort to build up quality neurotransmitters that the brain has been lacking. Good stuff!!! In the informative video below, I discuss the many benefits of ‘Specific Amino Acid Therapy’ including how to drastically improve the quality of one’s nightly sleep, as well as treating both depression & anxiety naturally! The Brain Function Questionnaire, which helps in determining specific neurotransmitter (hormone) deficiencies is available at my AFCvirden web site. Official Chiropractor of the Springfield Foxes Semi-Pro Football Team since 2011.